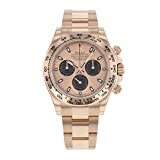 Men’s Watches – Beautiful watches at discounted price! Getting the perfect men watches that look good, and are great value for money are really hard to find. However, there are a few models from the top most brands that are worth buying and provide great value to the buyer’s money. For the readers’ sake, we are listing the five best men watches currently available in the market. Read further to know more about these watches and the features that make them unique. For those who are looking to buy a watch that not only goes completely with the formal and casual looks, then the Boss Orange men’s Quartz is a perfect choice for you. Whether it is the silicon strap, or the stylish analogue display, all of them make it a perfect buy for those who are looking for a watch they can wear it in almost any occasion. The best thing about the watch is the brand name. The Hugo boss is one of the best-selling watches and are known for their high-quality material. In all, the Boss Orange men’s quartz is a great option for the buyers who are willing to buy a high-quality good-looking watch for them.